American black vultures are large and very resourceful scavengers that are fascinating to study. 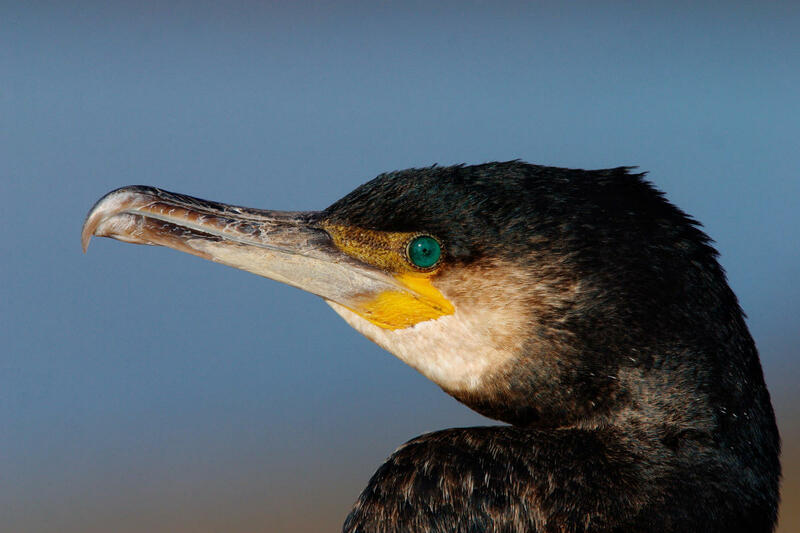 Able to adapt to different terrains and food sources, as well as able to live alongside humans, these birds form a vital part of the food chain. Below are some key facts about American black vultures. American black vultures live in the southern USA (especially the southeast), all across Central America, and the majority of South America. 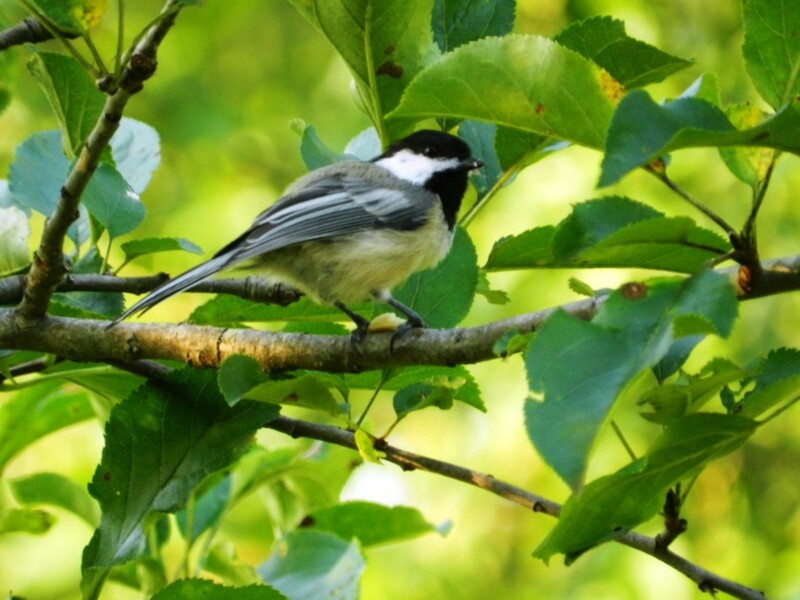 Their preferred habitat is lowland areas, in open land with patches of woodland or brush. 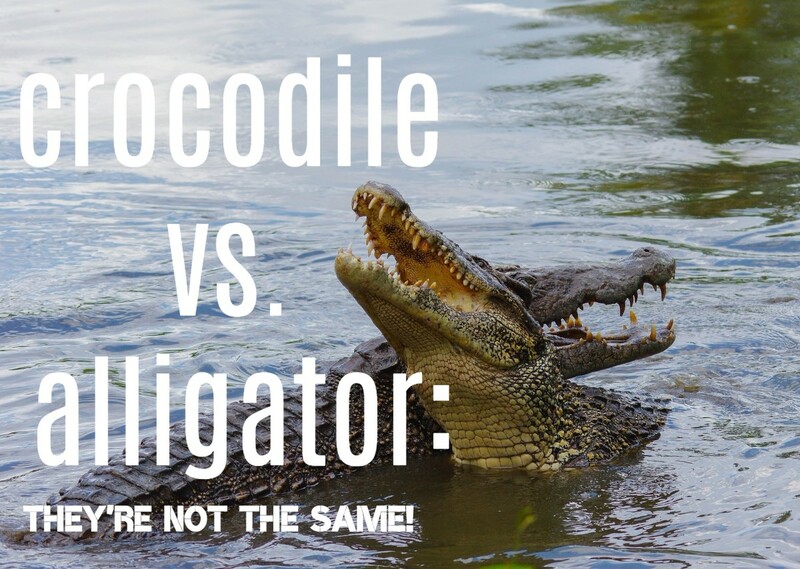 They also like to live along rivers, in swamps, wetlands, pastures, and grasslands. It is rare to see them in mountainous areas. They have a wingspan of about 5 feet and weigh somewhere between 4 and 5 pounds. Although they are smaller than turkey vultures, they are more aggressive and will often drive turkey vultures away from carcasses using strength of numbers to intimidate. Modern black vultures live exclusively in North and South America, but 34 million year old fossils of their family group have been found in Europe. These New World birds can also be referred to as simply black vultures, but should not be confused with the Eurasian black vulture, which is unrelated. In everyday life, some people call them: “carrion crows”, or “black buzzards” (although it should be noted that buzzards are strictly speaking broad-winged hawks, not vultures). 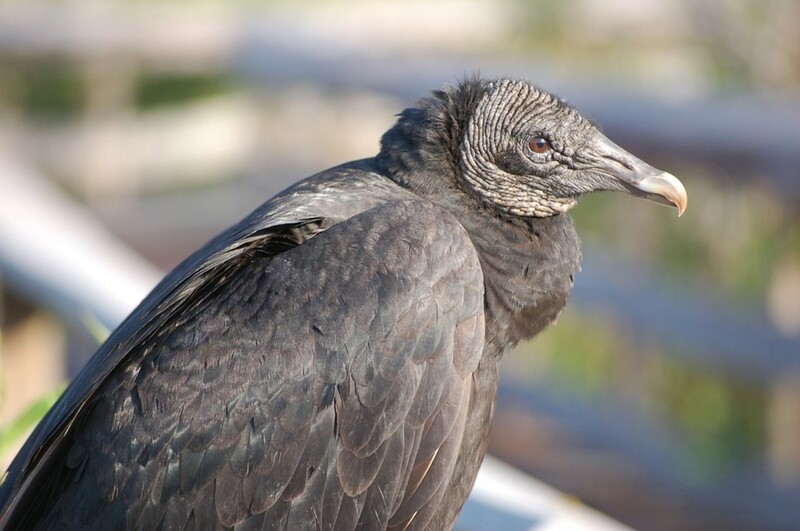 The scientific name for American black vultures is Coragyps atratus. One interesting fact about American black vultures is that they don’t build nests like most other birds. Instead they lay their eggs in places such as hollow tree stumps, between large rocks, or in caves; and decorate the area around with shards of glass, bright pieces of plastic, and small shiny metal objects, such as beer bottle tops. They can lay anything between one and three eggs at a time, but normally the number is two, with both parents incubating them. It takes the young about 75-80 days after hatching before they can fly well. Black vultures have an average lifespan of around 5 years. The black vulture is a scavenger. 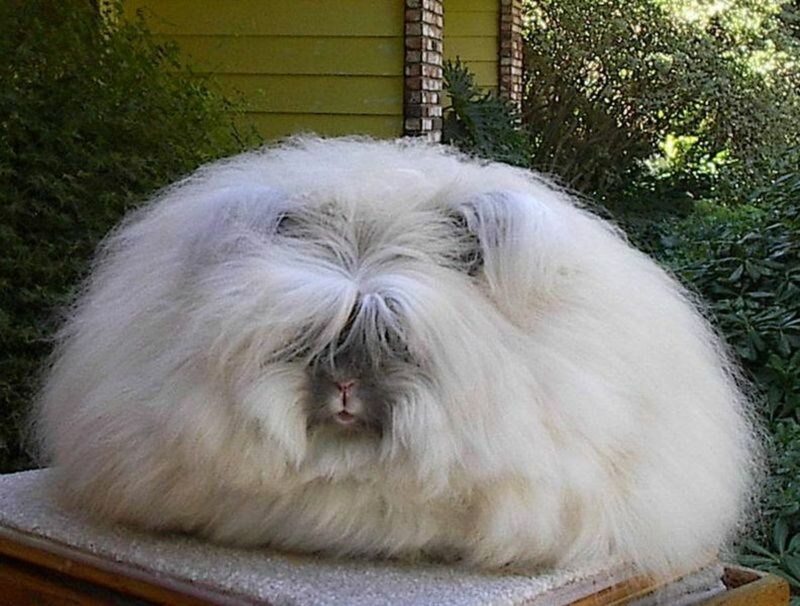 It soars high in the sky, using its keen eyesight to look for food. Interestingly, however, these birds do not have a great sense of smell, unlike some of the other New World vultures, such as the turkey vulture. 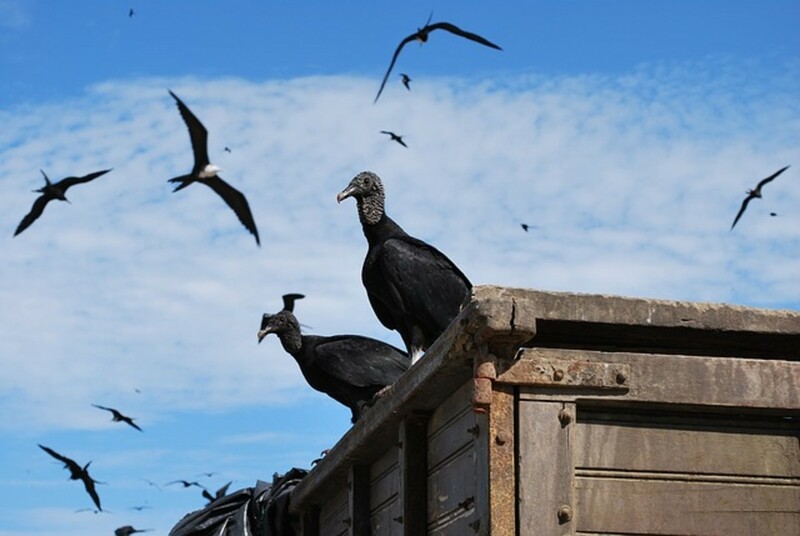 Consequently, black vultures will often follow other types of vulture in order to find food. 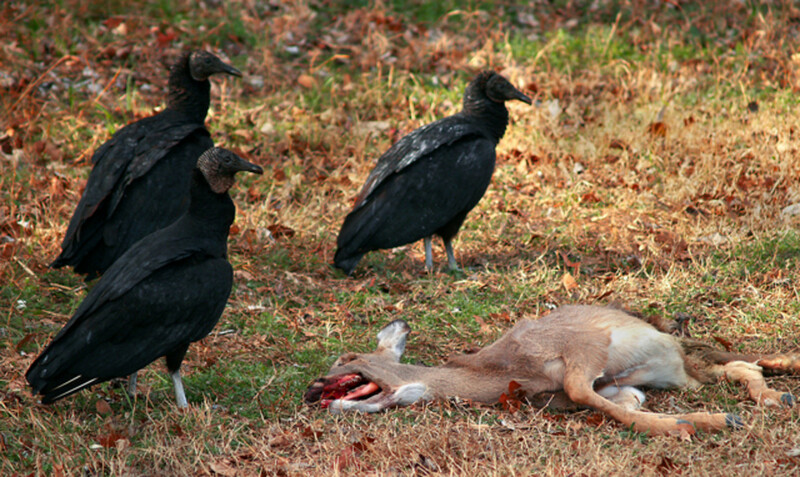 Black vultures eat animal carcasses of any size. They will also eat eggs or kill newborn or injured animals, such as deer, or calves. When they aren't flying, they will perch in groups in dead trees, or on fence posts. Black vultures are outnumbered by turkey vultures in the US, even though they are the most numerous vulture in the Western Hemisphere. Turkey vultures have a better sense of smell than black vultures, which is why black vultures often follow them when searching out food sources. Turkey vultures are bigger, but tend to operate on their own, and black vultures can often drive them away from a carcass through sheer strength of numbers. The North American black vulture, which inhabits a large area extending all the way from northern Mexico up to New Jersey. The South American black vulture, which is the smallest of the three subspecies and is found in Central American and northern South America. 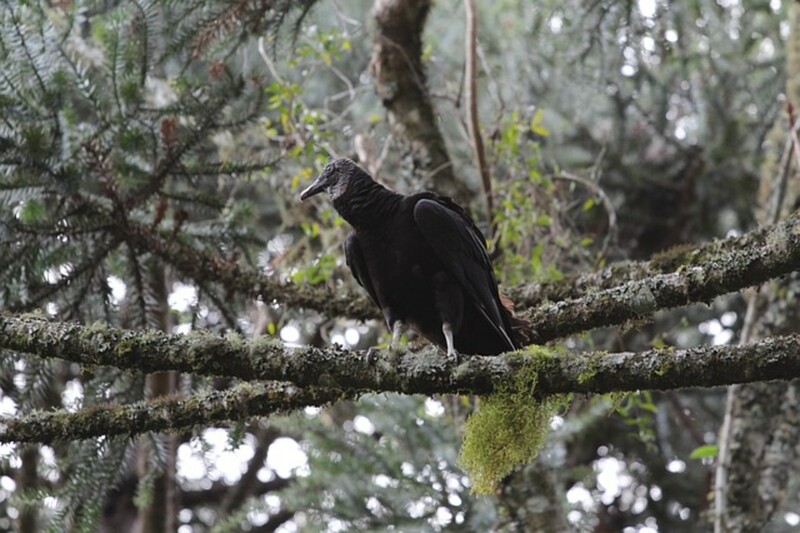 The Andean black vulture, which is found, as its name suggests in the Andes mountain range. The oldest known black vulture known was over 25 years old. Black vultures have no voice box, so can only make rasping noises and grunts. They will make a hissing sound, if they feel threatened. 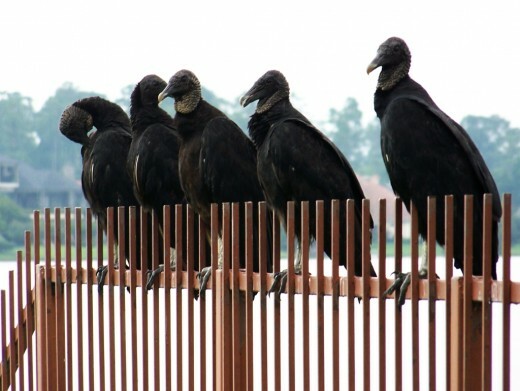 Black vultures like living alongside humans. There are just as many of them in populated areas as there are in wild areas. This is mainly because they can live off the food that humans inadvertently supply for them, such as the waste on garbage dumps and animals killed by road vehicles. The number of these vultures is growing, and because of climate change, they are also spreading northwards. Black vultures were often featured in the artwork of ancient cultures, such as the Mayans. In more modern times, they have appeared on postage stamps in Guyana and Nicaragua. Raptors of the World by Ferguson-Lees, Christie, Franklin, Mead & Burton. Houghton Mifflin (2001), ISBN 0-618-12762-3. Garcia, Lisa. "Black Vulture". The Natural History of the Chihuahuan Desert. University of Texas at El Paso. "All About Birds: Black Vulture". Cornell Lab of Ornithology. 2003. Great article. I just linked to it in one of mine. Thanks. One of my worst enemies right now. As a cow-calf farmer, I am way too aware of how aggressive they are. I had to run to the back of the field yesterday to scare them away from a day old calf. Luckily, its mom was nearby and got there first. They will pluck out the eyes of newborn calves before they're even on their feet. 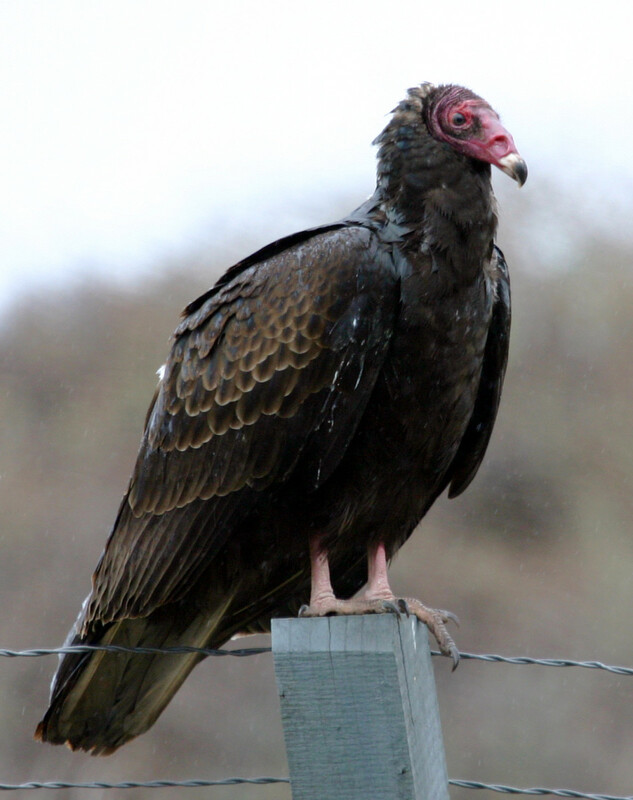 Nothing like the turkey vultures they are joining here in Kentucky,. They are fascinating birds and a vital part of the eco-system, but I cannot in all honesty say that I find them attractive. Quite the opposite, in fact. Ahhh....one of my top favorite birds! Love love love these birds. Great hub!!! They are ugly and evil-looking. 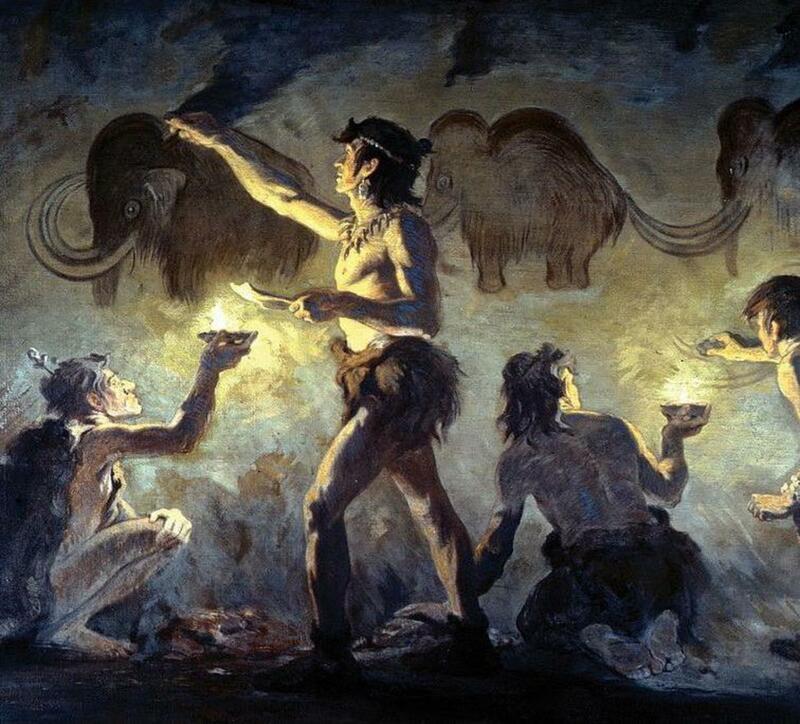 It may be instinctive that we humans dislike them? Those photos were actually taken at the NASA Space Centre in Florida. What creepy looking birds, is that wrong to say? But your Hub is very interesting and certainly informative. There is some kind of Black bird flying around hear in South Florida, could it be the Black Vulture, they too fly very, very, high in the sky.